In England, we don't get much warm weather, but when we do we all embrace it! It rarely happens even in summer but nothing's better till when it comes. So as the weather gets warmer, it's nice to have a bit of colour in your cheeks on them days with the sun shining down! Just an update, I took alittle bit of time off blogging but I'm back now! I really needed a break & I am so excited to be back & posting regularly again! I've not really been much of a blush wearer till recently but I have fallen in love, I have a small selection of blushes (this is all I own) and I do use them all, they're all beautiful and I am in love with each and every one. Blush has never been my thing till recently but it helps give your face such a healthy glow I love wearing them now. 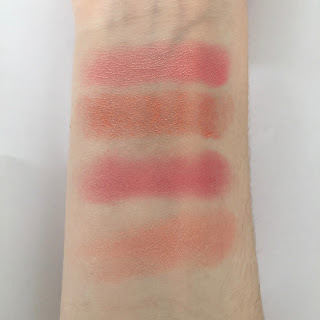 I feel like my favourite blushes are ones that everyone should have or just know about and I had to share them. In summer, I love adding a little bit of colour to my cheeks & the best way to do it is my trusty sleek rose gold blush. This is my ultimate go to blush and I live for it. The lovely pop of pink it gives my cheeks with the slight gold shimmer just flatters the skin so much making it look so natural. To mix things up I'm gonna throw in the only cream blush I have! This is like liquid gold! 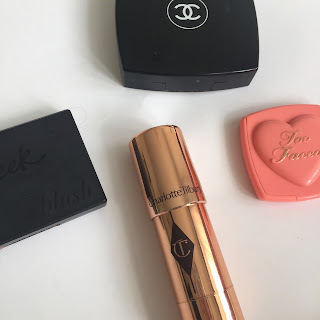 It's Charlotte Tilbury beach stick in 'moon beach' and this is the prettiest peach with gold colour I've ever seen, in I'm love with it, it gives the cheeks such a lovely glow, extremely creamy blends amazing and smells amazing too. What more could you want in a cream product. Next is the only matte shade of the 4 blushes, the too faced love flush blush in 'love hangover' this is to me what I'd call a 'cheery pink' because it is so bright and looks happy, giving my cheeks a beautiful pink colour that's to die for. It's just like a happy pink colour I love it. Last but not least is the most luxe of them all, my Chanel blush. Honestly I'm unsure on the name & shade name of this because I've had it for so long but oh my. It's such a soft peachy colour, almost identical with the Charlotte tilbury shade but Instead of a glitter the blush is just luminous and looks so healthy. 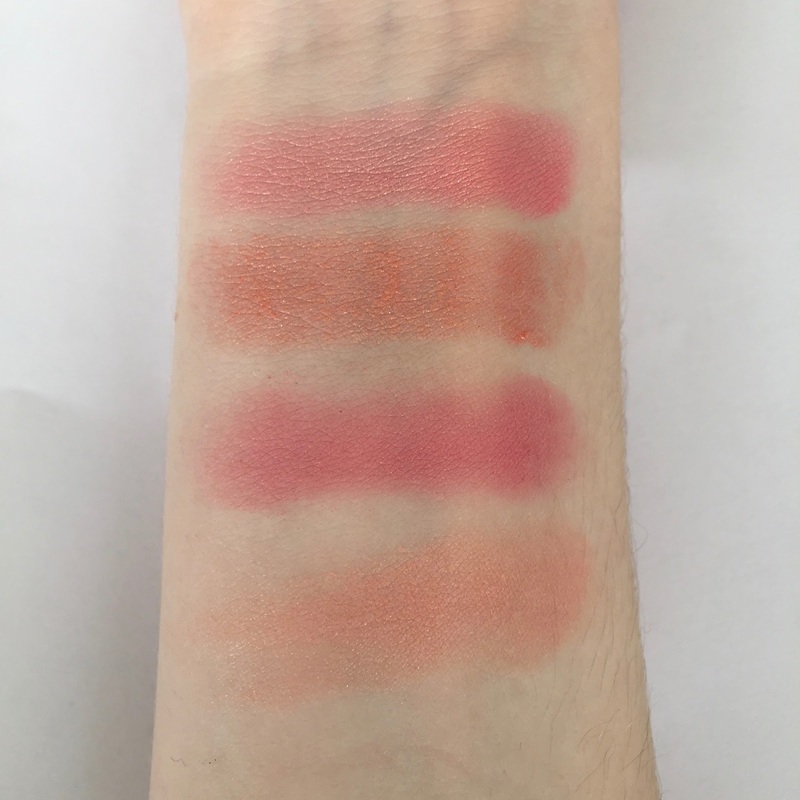 It's one of the best blushes to wear as it just makes your skin look 10x better sometimes, it's just a staple for me to keep during summer and no matter what I always go back to it.